Hurt in a Car Accident in Iowa and Need Help With My Case? Are You Taking the Correct Steps in Your Car Accident Case? 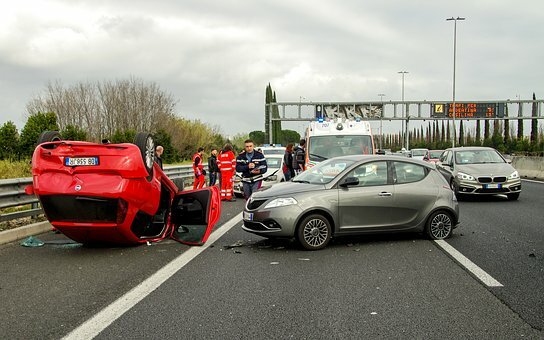 Did you know that car accidents are the most common type of personal injury accident? Whenever you are hurt as the result of someone’s negligence, recklessness or carelessness you have a “personal injury” claim. This means if you are in a car accident because someone else chose to speed or failed to pay attention, then you are able to recovery any damages you may have suffered due to the accident. If you or someone you know has been injured in a car accident you may have a lot of questions about what you should do. First, if you have been injured, you need to make sure the accident has been properly reported to the police, Department of Transportation, or the Iowa State Patrol. An accident report can play a significant role in your case down the road and preserve vital information that you may forget over time. Keep in mind that the insurance adjuster is not there to help you. It may seem like the adjuster is being nice and working with you, however, they are only trying to settle your claim as quickly as possible to save the company money. The insurance company isn’t obligated to explain your rights or the law to you. You should never lose your temper or threaten the insurance adjuster, even if they try to offer you a small amount to settle. If you do this they will see you as having a short temper and it will not help your case. At some point in your case you may decide to have an attorney review your claim. There are many attorneys to choose from. How can you be sure which one is right for your case? One of the most important things you can look for is what their past clients have to say, i.e. testimonials. If you decide to go with a general practice attorney you may not be getting the best result in your case, because they don’t specialize in personal injury. An attorney who specializes in personal injury will have more experience in dealing with these types of cases. If you want to know how the attorney has done in the past, you can always ask to see results from past cases. If you or someone you know has any questions or concerns regarding your Iowa Car Accident claim our personal injury attorneys at Walker, Billingsley & Bair are here to help. Our attorneys are dedicated to giving your case the personal attention that it needs to fully recover. We offer a no cost or obligation book to Iowans who have been injured in a car accident. To request your copy today you can visit us at www.IowaCarAccidentBook.com or Call Now 1-800-707-2552 ext. 710.